As the global healthcare charges forward, it leaves behind a waste crisis waiting to explode and by 2050, the UN anticipates that there will be more plastic than fish in the world’s oceans unless we change our behaviour and stop using single-use plastic items. For instance, the World Health Organization1 estimates 16 billion injections are administered worldwide every year without proper disposal, while an average of 0.5kg of hazardous waste per hospital bed per day is generated in high-income countries like the US. 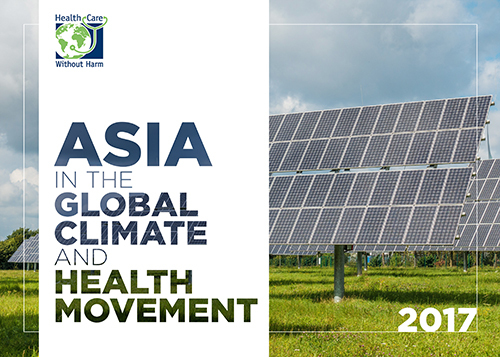 For the record, Phnom Penh in Cambodia produced 342.54 kg of healthcare waste from 3,114 hospital beds, according to a 2003 Cambodia Environmental Association2 survey, and Japan creates 285,000 tons in infectious waste and 945,000 tons of non-infectious also in 2003. Continued increases in plastic production and consumption, combined with wasteful uses, inefficient waste collection infrastructures and insufficient waste management facilities, especially in developing countries, mean that even achieving already established objectives for reductions in marine litter remains a huge challenge, and one unlikely to be met without a fundamental rethink of the ways in which we consume plastics3. Like any other waste that is dumped indiscriminately, healthcare waste will find its way into the sea, and is regularly reported washed up on beaches (Stringer, news articles), sometimes having been transported huge distances. For example, healthcare waste from the South Indian state of Kerala have been identified in Sri Lanka, over 500 km away (Srinivasan 2018)4. 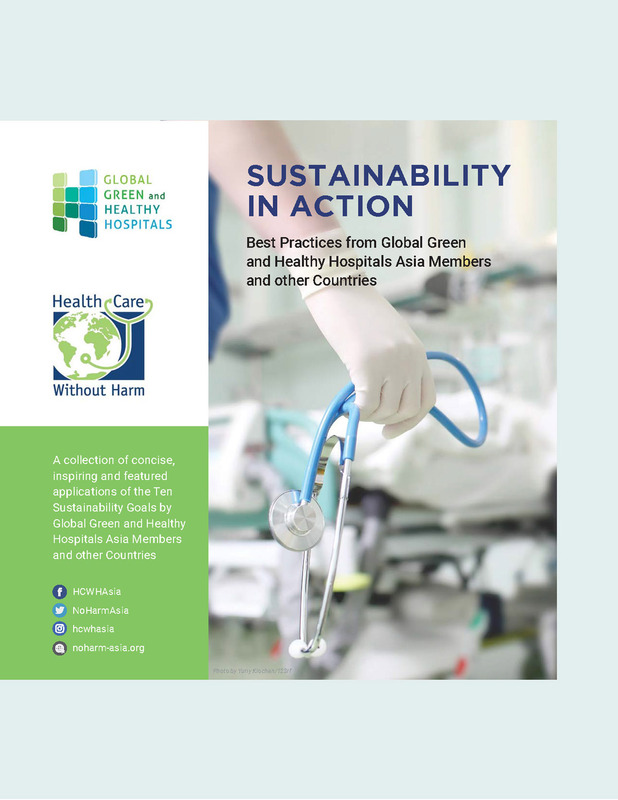 Therefore, in an aim to assess ways by which the health care sector can use its purchasing power and its voice to address health impact of plastics from its production to its use, treatment and disposal, Health Care Without Harm (HCWH) Asia conducted a series of Hospital Waste and Brand Audit in select hospitals in the Philippines and Indonesia. It has been found that hospitals produce very unique waste items. For instance, Alabang Medical Clinic, Mary Johnston Hospital, St. Paul Hospital Cavite, RSUD Syamsudin SH Hospital and Universitas Gadjah Mada Hospital in Indonesia, --where the audits have been conducted-- produce sharp objects, such as used needles and syringes; pharmaceutical waste, like expired and contaminated drugs; and infectious waste, including soiled dressings, blood and bacterial cultures aside from the problematic regular food and plastic packaging waste. 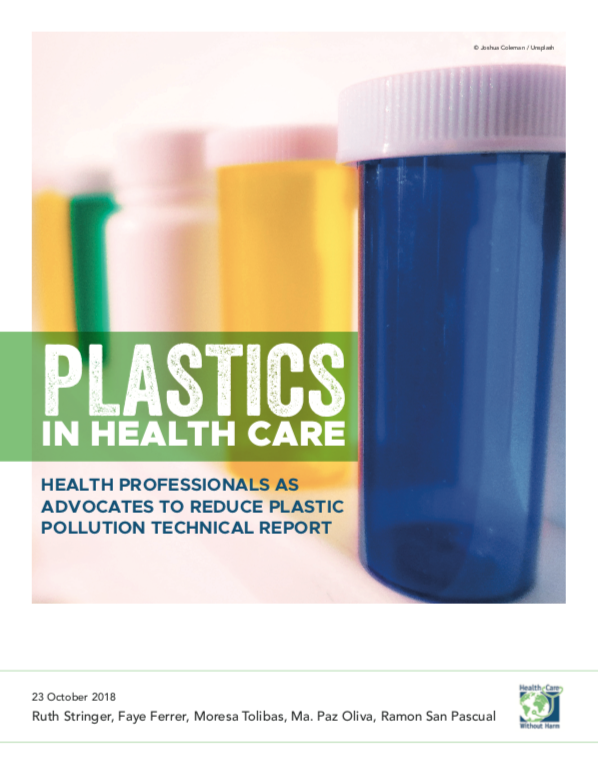 To magnify it more, phthalates are often used in PVC (polyvinyl chloride) to make medical plastic items such as tubings and infusion bags soft and pliable. 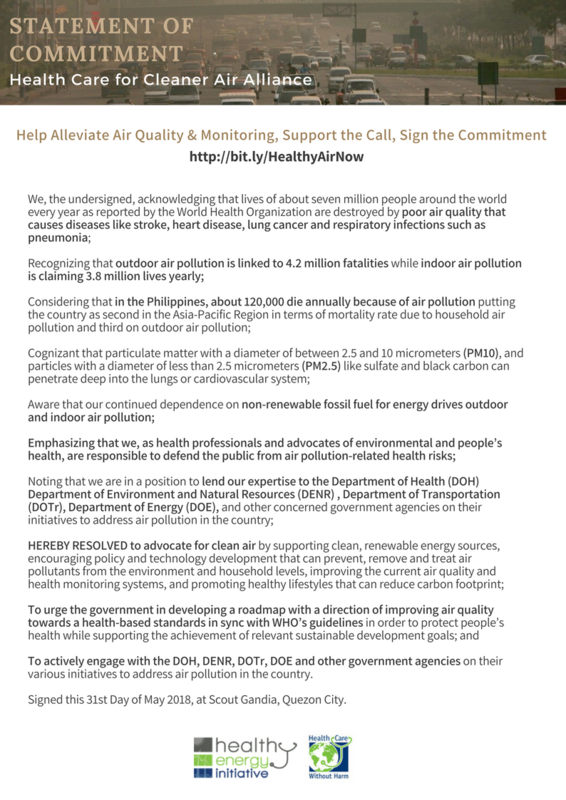 But phthalates are a known endocrine disrupting chemical (EDC) that can affect the hormonal development of humans especially children, pregnant women and those who have experienced long-exposure to such. And the occurrence of EDCs in the environment may as well pose adverse health effects, reproductive abnormalities and impaired development in wildlife species. As a matter of fact, effects of endocrine disruption have already been reported in snails, mussels, crustaceans, fish, reptiles, birds and mammals5. 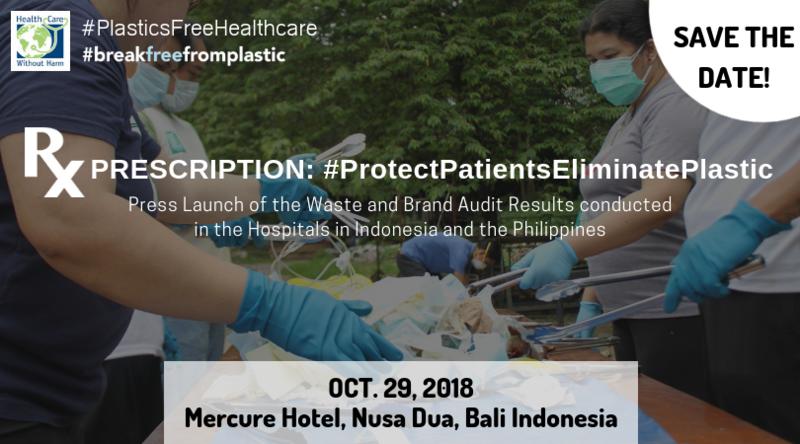 In addition, the audits clearly demonstrate the significance of plastics in the healthcare waste stream, representing between 49 and 72 percent, including sanitary products (diapers and sanitary products).